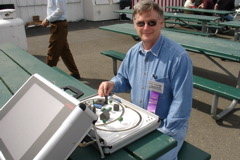 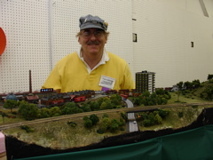 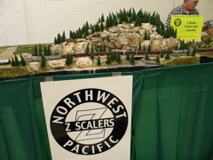 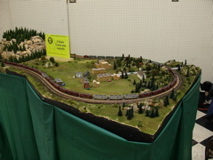 Steve Eichman brought his Marklin Solar layout and showed it when the sun came out late Sunday outside the building. 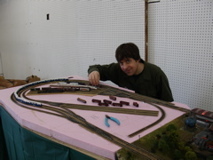 Andy Hunting working on his newest club module...still pretty in pink. 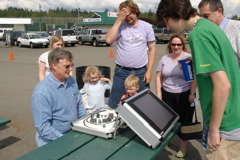 Tom Gilchrist brought his PACCAR factory module. 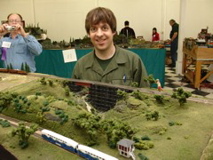 Andy and his trestle module. 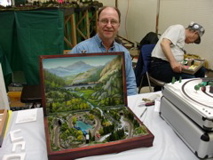 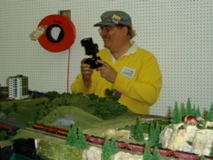 Loren Snyder and his "Silverware Chest" layout with tight curves was an eye catcher.